Recently I have developed two new small VIRYA wind turbines with axial flux generators, the VIRYA-1.25AF and the VIRYA-1.81. 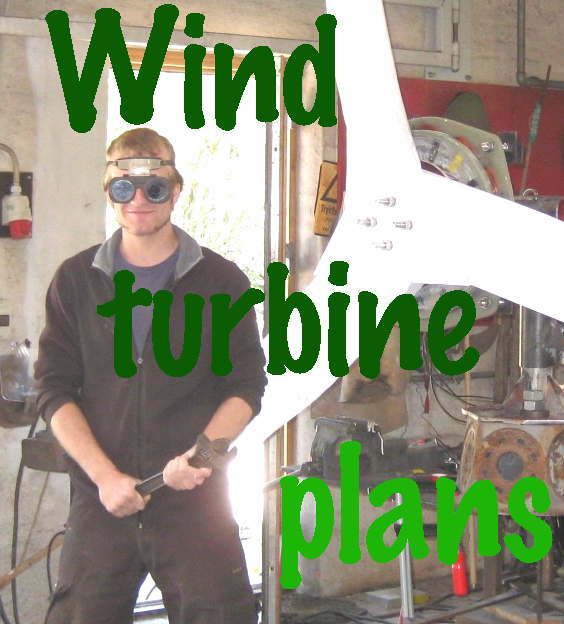 The design reports and the drawings can be copied for free from my website: www.kdwindturbines.nl. A folder in which all seven free VIRYA designs are described, can be found at the menu “VIRYA-folders”. The main specifications of all seven free VIRYA designs are given at page 3 of the folder “Extended specifications VIRYA windmills”. The calculations and the drawings of the VIRYA.1.25AF are given in report KD 626. The 8-pole generator of this wind turbine makes use of the front wheel hub of a mountain bike. The rotor is mounted to the front flange and the armature sheet is mounted to the back flange. An assembly drawing of the rotor and the generator is given in figure 1 of KD 626. Detailed drawings of the rotor and the stator sheet of the generator are given in the end of KD 626. The remaining drawings of the generator are given in report KD 608 of the VIRYA-1. The remaining drawings of the head are given in the manual of the VIRYA-1.36. 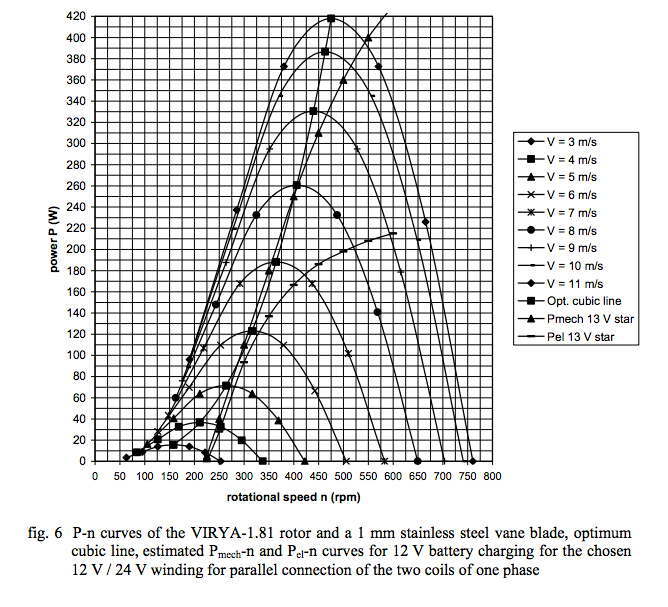 The VIRYA-1.25AF is a rather simple design but has an acceptable Pel-V curve for 12 V battery charging. The calculations of the VIRYA-1.81 are given in report KD 631. An assembly drawing of the rotor and the generator is given in figure 2 of KD 631. Detailed drawings of the rotor and the generator are given in a separate manual. The free manuals are given at the bottom of the list with KD-reports. The 8-pole VIRYA-1.81 generator has only one steel armature sheet with circular magnets glued to the back side. It has a synthetic stator sheet and synthetic coil cores and therefore no eddy currents are generated. As this construction results in a rather long way for the magnetic field flowing through air, rather strong and thick magnets have to be used. But as the magnets can be ordered at a rather cheap Polish company, the magnet costs are still acceptable in relation to the other costs which have to be made to build the VIRYA-1.81. I (Hugh) am not very comfortable with using a steel disk backing the stator, because of the losses in that disk and the thrust load on the bearings, but Adriaan is confident that these are both quite acceptable. Adriaan’s work is very strong on detail, and theoretical analysis, which can be very helpful especially to students of small wind turbine design. For example this diagram showing the matching of the alternator (Pmech) to the blades best tip speed ratio is especially helpful. This entry was posted in Adriaan Kragten, construction. Bookmark the permalink.